Today, I want to share some helpful tips on what I think are the best questions you can ask your MLM Prospects. I learned a long time ago that the best recruiters are the best listeners, not the best talkers. By asking questions, you can learn a lot about your prospects AND you can save an incredible amount of time. Asking questions and listening will help you close more prospects and get much better results in your business. Here are a few questions I use to pre-qualify people, before I share a business presentation with them. Remember, you should NEVER show a presentation to someone you have not pre-qualified first. The questions are listed in no particular order. Would you be interested in learning how you could work from home? Could you find a way to set aside 5-10 hours a week to start a part-time business? Do you have $100-$500 to set aside so you could start your own business? Would you be interested in learning more about how you could supplement your current income without affecting what you are already doing? If I could show you a way to replace your full-time income by working part-time with your own home based business for two to five years, would that interest you? Would you like to learn how you could earn an extra $200 to $500 per month? I don’t think you need to ask your prospects ALL of these questions to pre-qualify them, but pick one or two that you can use effectively. I learned a long time ago that it’s better to pre-qualify your prospects ahead of time, rather than just showing the plan to everyone and anyone. By doing so, you might quickly discover that your prospect isn’t a prospect after all. To clarify, I am not telling you to pre-judge people. Talk to everyone, BUT ask each person some of these questions before you decide to share a presentation with them. Once you are finished doing the presentation with your prospect, you must ask for the sale. Even if someone is interested in joining, they probably won’t join unless you ask them too. You also need a few questions to “feel out” your prospect and see where they stand. Here are a few of my favorite questions to ask my MLM Prospect right after I finish a business presentation. What part of the presentation interests you the most? On a scale of 1-10 how excited are you about the business opportunity? Does the business make sense to you? Do you think this company would be a good fit for you? What interests you more, the products or the business opportunity? Do you think you could set aside a few hours per week to do this business? Could you see yourself being successful in this business? How about we call the company right now and get your account created? Would you feel comfortable sharing the business or products with some of the people that you know? What questions do you need me to answer for you before we get you started today? We all know the money is in the follow-up. Most people will need to be followed-up with at least 3-10 times before they join. In most cases, the people I sponsor take 30 to 90 days and 10-20 follow ups from the time they first learn about what I do, until they buy or join. Here are a few questions I like to ask my prospects during the follow up process. What’s the one thing holding you back? If I could show you a way to come up with the money to get started, would that interest you? If I could show you how to get your products for free, would that excite you? Do you know anyone else who might be interested in the products or business? What information do you need from me to make a decision? How about we take five minutes and get you signed up right now? During the follow up, it’s not your job to convince your prospect to join, but it is your job to collect a decision. A NO is better than a maybe or “I have to think about it.” The sooner you can get a decision the better. Stay in touch. Follow up consistently. But don’t sit around and wait for anyone. Keep your pipeline full and keep talking to new prospects. There you have it folks. These are some of my best questions you can ask your MLM Prospects during the pre-qualifying, presenting, and follow-up process. 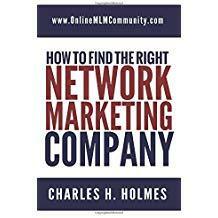 I hope you found the information in this blog post helpful and can apply it in your own network marketing business. What about you? What questions do you like to ask your prospects? What works best for you? Leave a comment below and let me know what you think. I look forward to hearing from you. I found out early on that failing to ask whether prospects had the initial monetary investment set aside to invest in starting their own business was a mistake. People can get so excited about the concept of having their own business and taking charge of their lives that they don’t consider that aspect. And unfortunately, many people are looking to get something for very little. Asking that upfront either confirms they are serious or makes them realize this isn’t for them. Yes, you definitely want to pre-qualify people before you show them a complete plan. That way you aren’t wasting your time. I truly believe this is a great template for network marketers. Of course, depending on the business, a person may have to make some minor changes or not use some of it, but over all, it seems like a great system to pre-qualify prospects. I do agree with the previous comment that creating a happy customer is the best way to get a good prospect for the business. When they use the products and like them, showing them how to get them free, or at a reduced price should be quite enticing. I was just wondering if you think it would be ok if people printed this to use as a template? Sure. Print it. The people who ask questions are the people in control of the conversation. Most of the suggested questions are appropriate IF you first INTERVIEW a person to find out if they are the type of BUSINESS PARTNER you would want to have. Are they HONEST and TRUSTWORTHY? Can they be counted upon to keep their word? ONLY after you and they have decided that there can be a mutually satisfactory relationship should you approach them about their interest in establishing a business relationship. This will take much more time than just your first meeting with them. Take a genuine interest in them and they will tell you all you need to know. This may seem like it will take too long but it will save you time in the long run. You are searching and sifting to find reliable friends that you can turn into either customers or business partners. Just about anybody can be turned into a customer. Business partners is an entirely different story. People can tell whether you care more about them than money or if you are just using them to get what you want. Service to others should be your goal. Find a need and fill it. Having said all that, try not to come across as a salesperson closing a deal. If they are interested in what you have to offer they will let you know. That is why real listening is so important. Keep your presentations short and simple. High pressure can lead to resentment and a black eye for your business. Asking somebody to join your business “right now” (after the presentation or during the follow up) is pushy. Treat others as you want to be treated is always good advice. My preference is to create happy customers during the interview process (90 days). Then, if you decide they would make a good business partner, broach the subject and let them make an intelligent decision. Happy customers make the best distributors! If they ask first, great!! Great advice Howard. I agree that happy customers do make great distributors. Thanks for the comment sir!